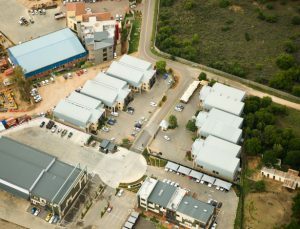 Any drawing or technical specifications, whether attached to quotation or not, remains the property of First Office Storage Concepts (Pty) Ltd and may not be copied in any way, or divulged to any third party, without the explicit and authorized written consent of First Office Storage Concepts (Pty) Ltd.
All goods supplied are guaranteed for 12 months from date of delivery, against faulty materials and/or poor workmanship. No claim will be valid unless submitted in writing within 14 days after the defect appears and in that event First Office Storage Concepts (Pty) Ltd will be obliged to remedy the defect. Save in terms hereof, the customer shall have no other claim of whatsoever nature against First Office Storage Concepts (Pty) Ltd, whether for direct or consequential damages, and First Office Storage Concepts (Pty) Ltd gives no other guarantee or warranties, express or implied, and makes no representations of any nature whatsoever in respect of the materials, workmanship or final product. Any date quoted is merely an indication of delivery and time shall not be of the essence. If delivery is delayed beyond the delivery date for reasons beyond First Office Storage Concepts (Pty) Ltd’s control, prices quoted will be subject to escalation using SEIFSA indices and formula from date thereof. Installation is subject to free-unrestricted access to a clear and level floor and the provision by the customer of sufficient lighting and power. Application for and the granting of building Regulation fire and safety approval is mandatory before the installation of a mezzanine floor is effected and it is the customer’s responsibility to obtain such approval. Should you instruct us to provide such an installation before the necessary approval is given, we would require, in writing, your assurance that you are aware of the Law’s requirements and that you will meet all costs, including legal fees and fines, which may be incurred in meeting these requirements, and that you will absolve First Office Storage Concepts (Pty) Ltd from all responsibility connected with the installation. All purchases are C.O.D. unless otherwise stated by First Office Storage Concepts (Pty) Ltd. Although all risk in the goods shall pass to the customer upon delivery, ownership of the goods shall remain the property of First Office Storage Concepts (Pty) Ltd until paid for in full. It is agreed that the goods constitute a movable and not a fixture. Orders cancelled are subject to a 10% cancellation fee. Customers specifying non-standard items will be charged for at full price in the event of a cancellation. Delivery of the goods will be affected after full payment. At the election of First Office Storage Concepts (Pty) Ltd, any proceedings pursuant to a dispute between the parties may be instituted out of the Magistrates Court notwithstanding that the quantum of the amount in dispute would otherwise exceed its limit of jurisdiction, in terms of section 45 of the Magistrates Court Act. In the event of an adverse costs order being granted against the customer, it agrees to costs on the attorney and client scale. Unless otherwise stated, all quotations are vat exclusive. A certificate issued and signed by any manager of First Office Storage Concepts (Pty) Ltd, whose authority need not be proved, in respect of any indebtedness of the customer to First Office Storage Concepts (Pty) Ltd, shall be prima facia proof of the customer’s indebtedness to First Office Storage Concepts (Pty) Ltd. These terms and conditions together with any quote or invoice submitted by First Office Storage Concepts (Pty) Ltd, represents the entire agreement between the parties and no variation thereof shall be valid or binding unless reduced to writing and signed by the parties.